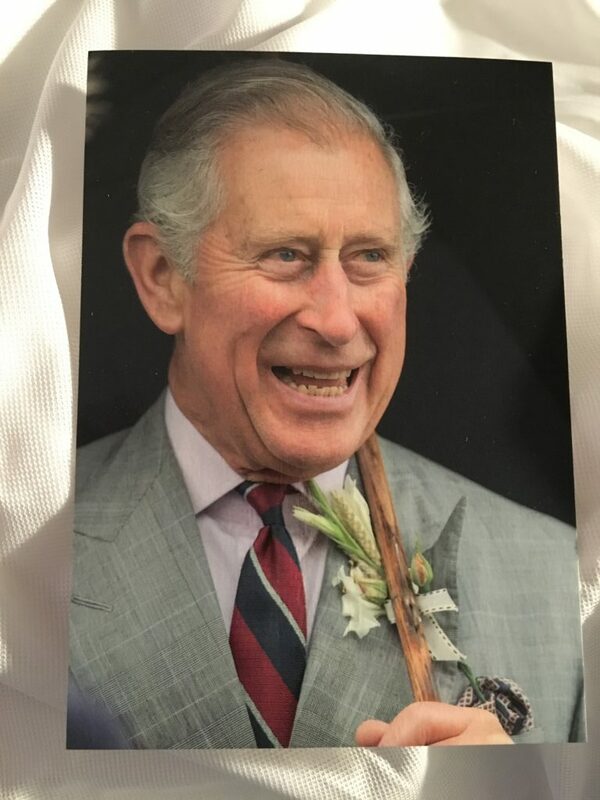 Today I received a reply from His Royal Highness the Prince of Wales for the birthday card that I recently mailed. 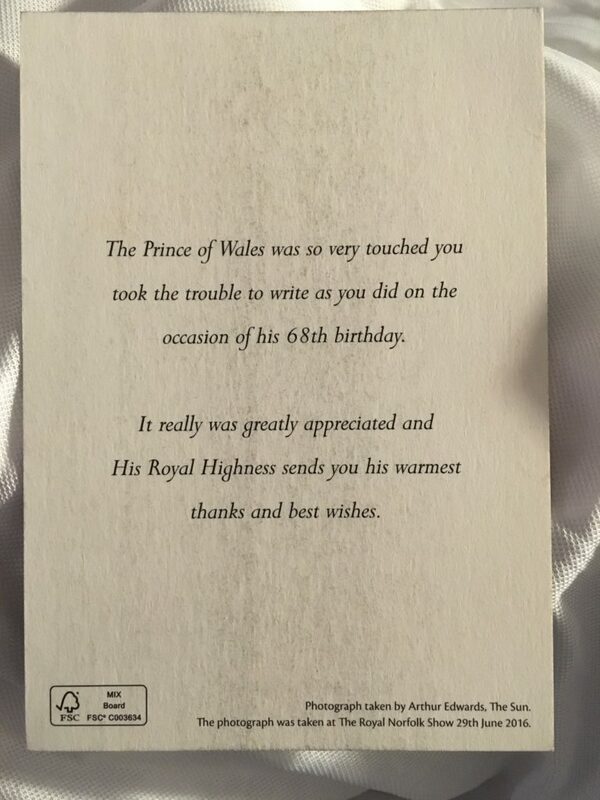 I mailed the card on 16 November 2016 and today, 28 November 2016 I received the reply. It features a photo by Arthur Edwards and a standard thank you message.